Join NJOHSP and STRIFE for a timely and engaging discussion analyzing the roles of women in supporting, perpetrating and countering violent extremism. 11:00 am - 12:00 pm E.S.T. *Meeting room will be open at 10:30 am in order to conduct sound checks and assist with any connectivity problems. From female Western migrants, to recruiters and perpetrators of violence - women are increasingly playing a role in supporting terrorist organizations. This month's webinar will explore the various roles of women in terrorist organizations. We will also analyze their role in countering violent extremism. Joana Cook | Joana Cook is a Doctoral Candidate in the Department of War Studies at King's College London, Editor-in-Chief of Strife and a research affiliate with both the Canadian Network for Research on Terrorism, Security and Society (TSAS) and Public Safety Canada (Kanishka). Her work focuses on women in violent extremism, countering violent extremism, and counterterrorism practices in the UK, Canada and Yemen. She has previously worked in risk management, at the International Centre for the Study of Radicalisation (ICSR) at King's College, and as a journalist across Canada, the Middle East and Africa. She has been featured in the Telegraph, the Huffington Post, Sky News, BBC Radio, the National Post and CBC. * Please feel free to email analysis@njohsp.gov for assistance. Strife is a graduate student-led dual format publication, based out of the Department of War Studies, King's College London. It comprises the present blog, as well as a peer-reviewed academic journal, published biannually. Our thematic focus is 'conflict' in all shapes, forms and senses of the word. We combine political, historical, literary, and philosophical approaches to conflict (among other things) for our readers. We aim to provide thought-provoking, unique perspectives in all our work. 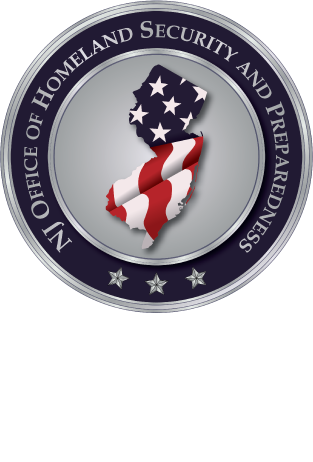 The NJ Office of Homeland Security and Preparedness (OHSP) helps to direct prevention, detection, protection, response, and recovery planning, not only at the state level, but also at the regional and national levels with our varied partners. In addition to coordinating their efforts with other state agencies, OHSP plays a critical role in helping to shape state and inter-state homeland security policy and practices. OHSP is led by Director Chris Rodriguez and comprised of three Divisions: the Division of Intelligence, the Division of Policy and Planning, and the Division of Administration. DISCLAIMER: Any views or opinions presented in this webinar are solely those of the author(s) and do not necessarily represent those of the Office of Homeland Security and Preparedness (OHSP). The information contained in this flyer is unclassified and can be distributed through public channels to its intended audience for any interested parties. Thank you.